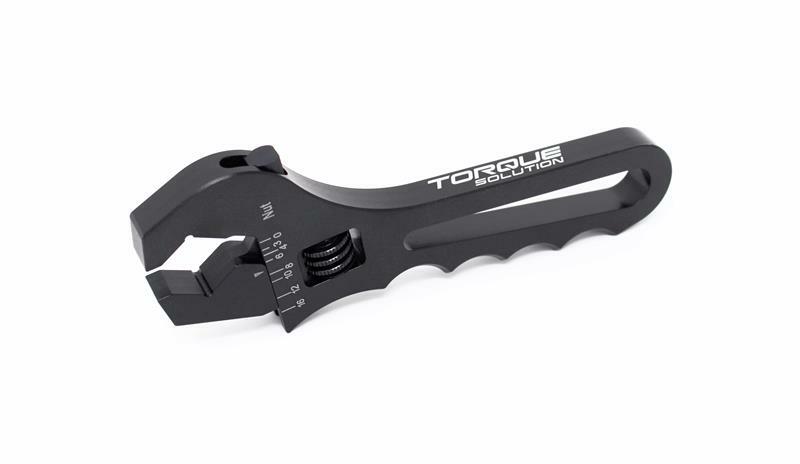 Torque Solution Adjustable AN Wrench for -4AN to -16AN fittings. Our wrench features a unique design which helps to protect your new fittings from getting damaged during assembly. Do it right the first time with our precision wrench.